My husband absolutely loves bacon recipes. I’m sure he’d include bacon in every meal if he could. Most days you’ll catch him walking around the house wearing a t-shirt with a bacon saying on it like “Bacon Changed My Life” or “Everything Is Better With Bacon”. If there was a bacon fan club, I’m sure he’d want to be president of it. Yep, he sure loves bacon! With Father’s Day quickly approaching, I wanted to put together a collection of bacon recipes for the bacon-lovers in your life. There are so many delicious ideas here! 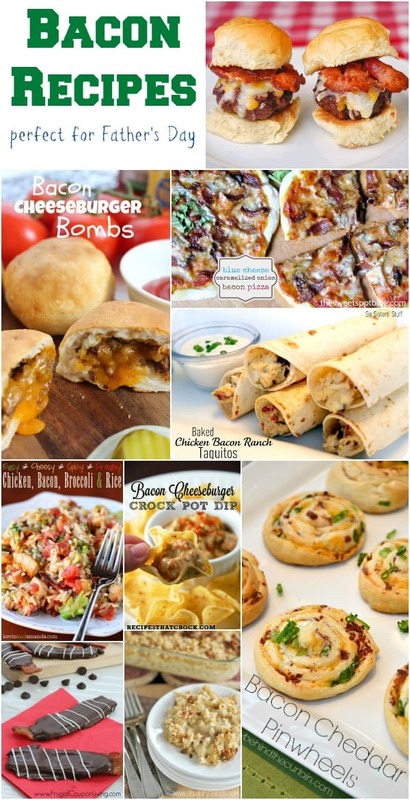 This is a collection of recipes from other talented bloggers and masters in the kitchen. To view the full recipe for any of these, simply click on the title of the recipe and it will open in a new window for you. 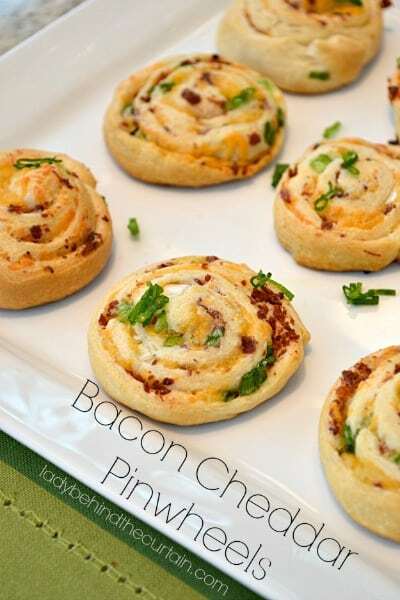 These Bacon Cheddar Pinwheels (pictured above) by Lady Behind The Curtain would be perfect for a party. I’m sure they’d be one of the first things gobbled up on the buffet table. Have you ever visited the Rock Recipes website? 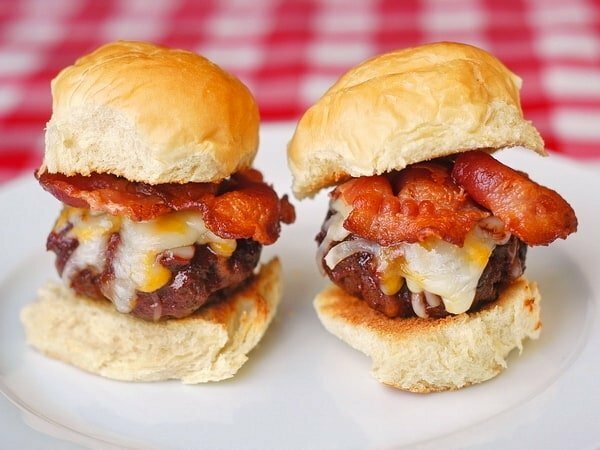 It is loaded with delicious recipe like these Barbeque Bacon Cheddar Sliders. I love taquitos but I’ve never tried to make my own. 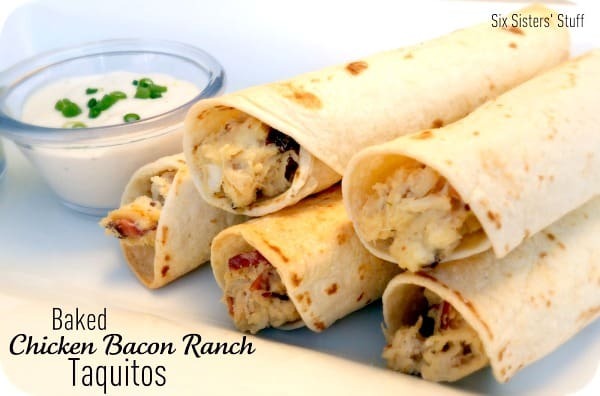 These Baked Chicken Bacon Ranch Taquitos by Six Sisters’ Stuff sound much healthier than the deep fried ones found in some restaurants. 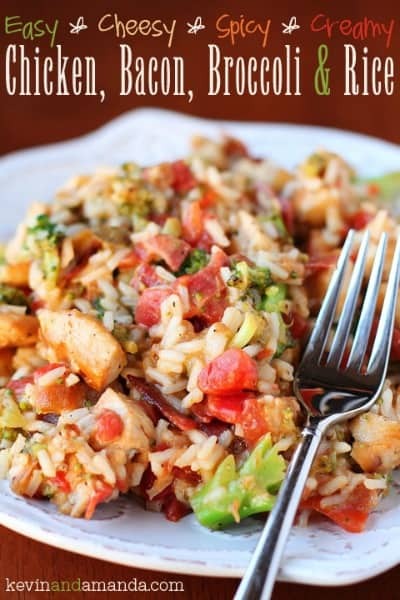 Here’s another recipe that looks both delicious & healthy – Cheesy Chicken Bacon Broccoli and Rice by Kevin & Amanda. 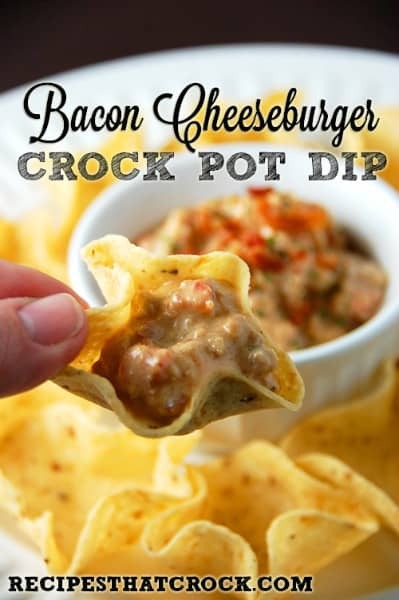 This Bacon Cheeseburger Crock Pot Dip by Recipes That Crock looks like the perfect appetizer for game day! 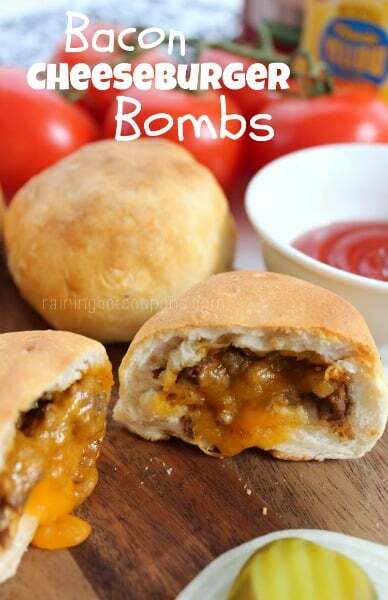 These Bacon Cheeseburger Bombs by Raining Hot Coupons look both delicious and fun to eat. This is a recipe that kids are sure to love. Have you ever tried to make your own macaroni and cheese? 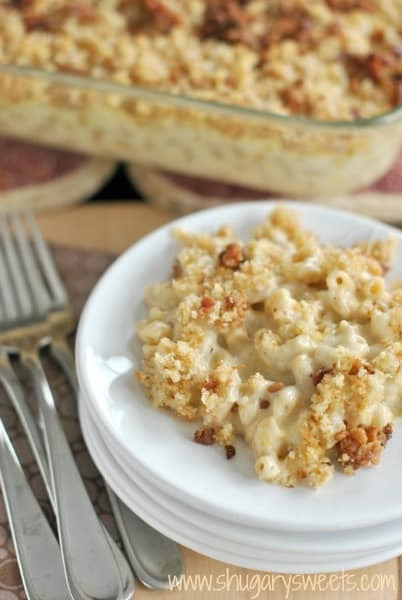 This Gouda Bacon Macaroni and Cheese by Shugary Sweets looks really tasty. Bacon and pizza were just meant to go together! 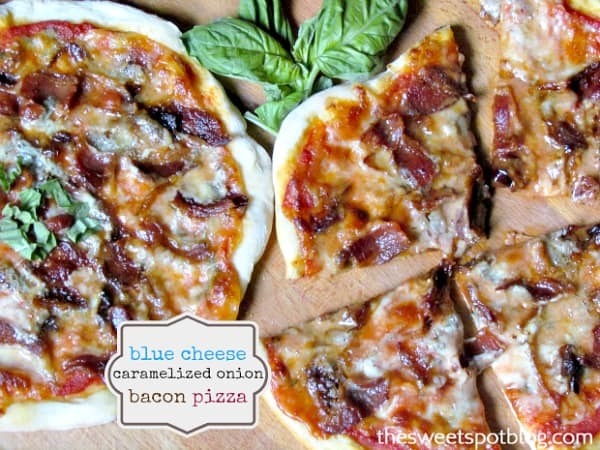 This Blue Cheese, Caramelized Onion Bacon Pizza by The Sweet Spot looks like an interesting combination to try out. 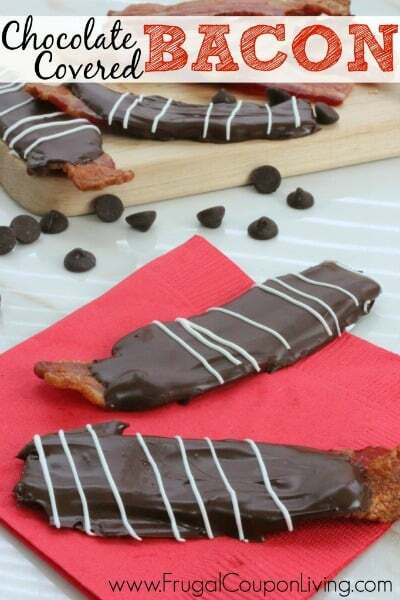 I’ve never tried Chocolate Covered Bacon before but Father’s Day would be the perfect time to try some of this out with Dad. Visit Frugal Coupon Living to find out how to make it. Don’t forget to visit our special Father’s Day page for even more delicious & fun ideas. We’re always adding new ideas for family fun. Stay updated on the latest by following us on Facebook, Twitter, Pinterest, Google + and Bloglovin’.